Getting approved for your loan is one of the most important steps you will take when purchasing your home. You certainly don't want to find the home of your dreams, only to have your dreams and hopes squashed when you find that you are not qualified to purchase a home you fell in love with. Depending on the market you are attempting to purchase in, most Sellers will want to know that you are at least qualified to purchase their home. In a multiple offer market this is especially important as your offer may be rejected simply because you have no commitment letter from a lender. So, when do you start the process of shopping for your home Loan? Answer: BEFORE you start your home search! Lets clear up some of the confusion surrounding what type of approval you will need. #1 Pre-qualified; This is the initial step in the mortgage process. You have given an overview to the lender of your overall financial status. Based on the information you provided the lender will "pre-qualify" you for a possible mortgage amount. **Note: This process does not include an analysis of your credit report or verification of your ability to purchase. #2 Pre-approved; You will complete an official Mortgage Application and supply the lender with documentation to validate and verify what you have, what you earn and what you owe. An extensive check on your financial background and current credit rating should be completed. Once this application has been processed the lender can tell you the specific mortgage amount they have approved you for and they should put this in writing as described below. #3 "Conditional commitment"; once the pre-approval process has been completed your lender should issue you with a conditional commitment letter indicating the specific mortgage amount they have approved you for. With this Conditional Commitment in hand, you will be in the best possible postion to start your search for a home at or below that price level. A word of WARNING; The Conditional Commitment letter gets YOU approved, NOT the property you are wanting to purchase! #4 Loan Commitment; The last step in the Loan process is getting the Loan Commitment, which is only issued by the lender when they have approved you as the borrower, and the house you are purchasing. 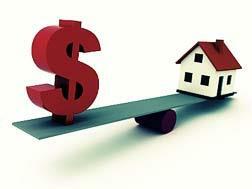 This means that the home should have appraised at or above the sales price. If the appraiser brings up anything he or she feels shoud be investigated (i.e. structural problems, accessibility issues etc.) the bank may require more information or repairs to be completed as a condition of funding the loan. This loan commitment can fall very close to the day of closing. #5 Income and Credit profile; Expect for your lender to check your income and credit profile to make sure nothing has changed since initial approval. A word of advice. Always check with your lender for their process and conditons for loan approval as these may vary.